Last week’s Mystery Creature was the Aardwolf (Proteles cristata). 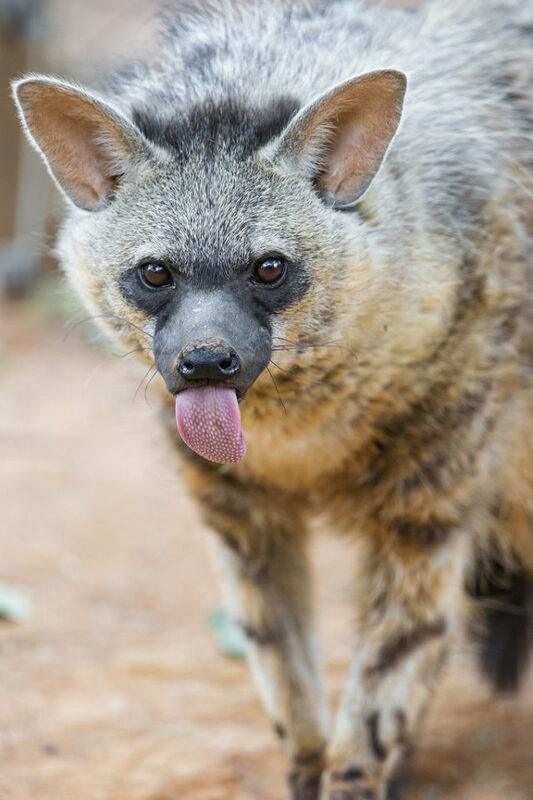 Although a member of the hyena family, the Aardwolf is closer in size to a fox than a hyena, is a more quiet and solitary animal and has a very restricted diet. 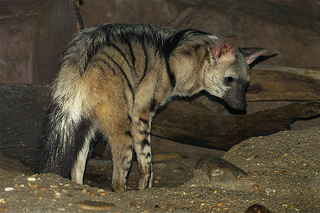 A primarily nocturnal animal, the Aardwolf is more likely to be found resting in burrows during the day. Found is Eastern and Southern Africa, their preferred habitat is open grassy plains. At night they hunt for termites, capable of eating up to 300,000 in one night. Unlike the Aardvark they are not equipped for digging theses insects out of their mounds and instead use their long sticky tongue to pick the termites up from the Earth. Although they feed almost exclusively on termites they have been known to eat other soft bodied insects, and very rarely, small mammals and birds. The Aardwolf is monogamous by nature, a pair will mate for life and the male will play a role in raising the young, usually he will guard the den containing the young cubs. There are usually two to four cubs per litter. They will stay in the company of their parents for about a year, before leaving to find a teritory of their own.